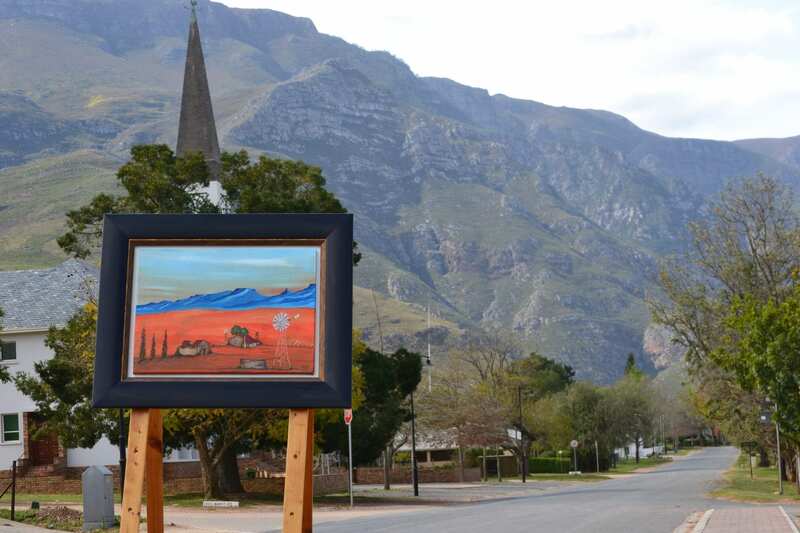 Immerse yourself in expressions of creativity at the annual Greyton Art Walk | Eat. Play. Drink. Cape Town. They do indeed and it’s the focus of this weekend’s Greyton Art Walk from November 16 to 18, the second annual event under this title which builds upon the success of last year with even more to offer visitors to this quaint and picturesque little town Overberg town in the Valley of Grace, which is surrounded by spectacular mountains. It was my first time, and we blew into town on the wings of a blistering pre-summer heatwave with real-feel temperatures soaring into the 40s. The drive from Cape Town had taken us through golden landscapes of wheat fields, illustrating the diversity of the Overberg, a region of contrasts. 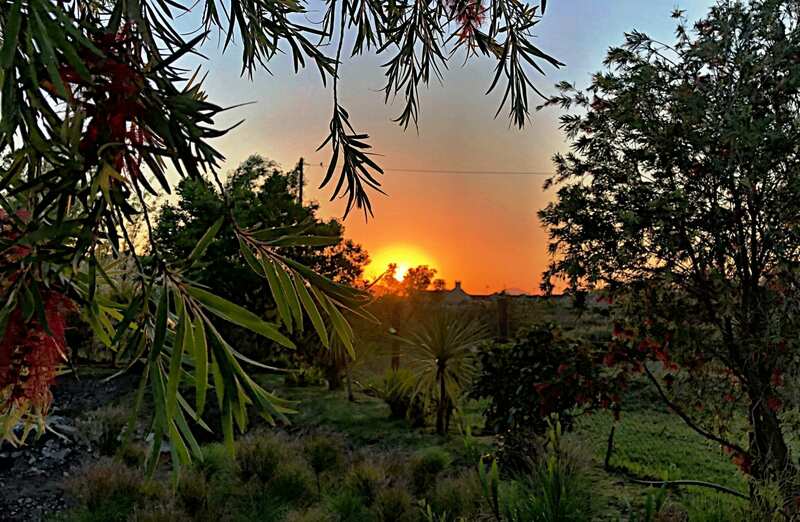 Depending on which roads you take, it includes rugged mountain ranges, fynbos, canola fields, vineyards and orchards, and even splendid coastal vistas and beaches. There is one main road into Greyton called, well, Main Road. The first thing I noticed is that there are a lot of restaurants for the size of the town; we definitely weren’t going to be hungry. The offerings are varied; we had excellent ribeye steaks at Oak & Vigne at a very reasonable price (compared to the Big City), and Via’s makes a jolly good omelette for breakfast – accompanied by a gently-strumming guitarist on Sunday mornings – and has an on-site coffee roastery. 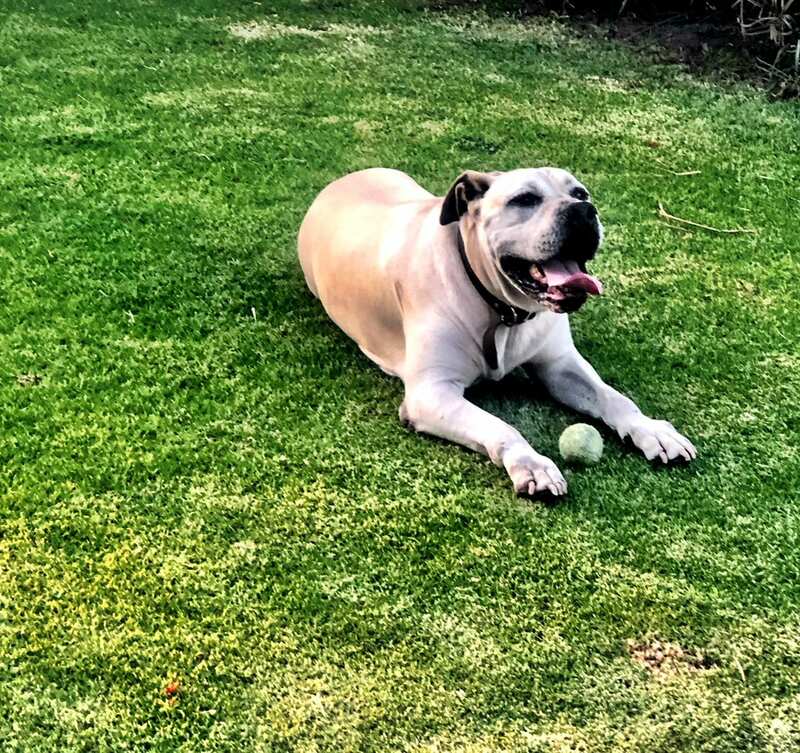 We were hosted by Greyton Art Walk organiser Chris Cloete and his wife Melinda (and their boerbul Zeus who targeted me as his official ball-thrower for the weekend and panted like a steam train in the heat). The event will comprise more than 500 original artworks by more than 50 artists in an exhibition at Greyton Art Centre in the D.R.C. Hall, from which the walking can commence. Do be aware you are likely to encounter horses, cows and/or donkeys. This is not a joke; after a night of mooing outside the bedroom, I messaged my bestie the next morning saying “fun fact: cows don’t sleep.” Not believing me, she Googled that and apparently it is really a fact. Now you know. Visitors will be able to make their way on foot around homes and galleries, all of which are free to attend. You’ll be able to meet the artists, chat to them, and see some of them at work – right there on the streets even. “Members of the Urban Sketching organisation will walk the experience while sketching all over the village,” says Chris. Under the leadership of Marianne Ehlers, there will be a children’s art competition; and fun to be had with a treasure hunt where you can follow the clues to find one of the original paintings of a historical building in Greyton, painted by one of Greyton’s own artists. “It’s a family-friendly event which enables a broad cross-section of the community to enjoy art and entertainment for the duration of the weekend. 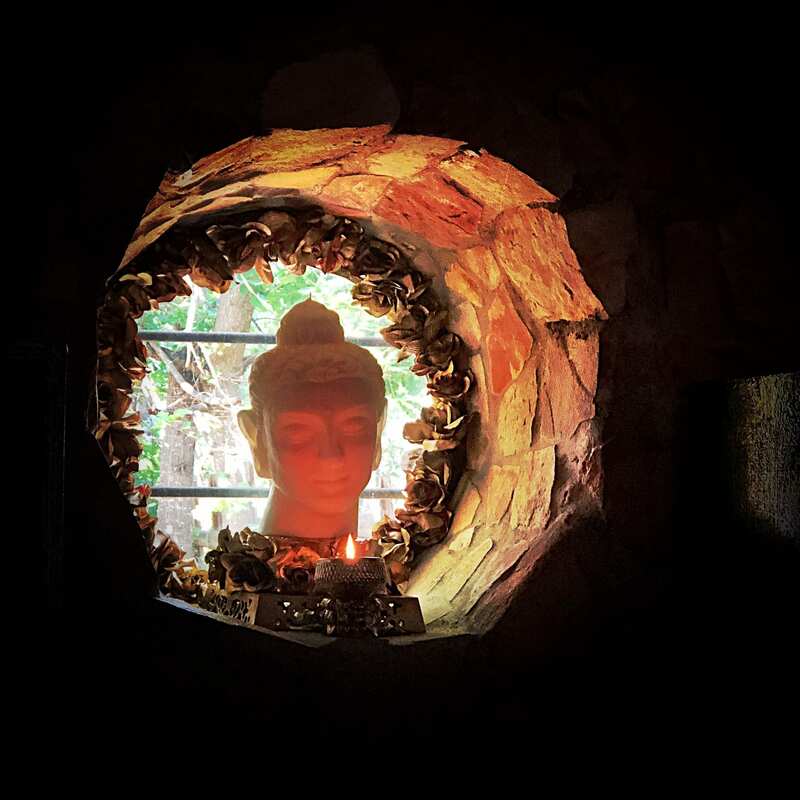 With its many excellent eateries and guest houses in Greyton, it’s a must for all art lovers,” says Chris. Cloete and fellow organiser Rethea Fourie, and Ehlers (children’s art), can be contacted via email at greytonartwalk@gmail.com, and follow Greyton Art Walk on Facebook. Greyton Candle Shop (pictured below), where Gretha Quinlan will show you her gorgeous and unusual candles, with their heady scents. The shop is small and painted black to best showcase the illuminations. Gretha herself is a delight to meet, and will make sure your purchase is prettily packaged whether it’s a gift for someone else, or for you. Across the road is Once More With Feeling, where you’ll find a unique collection of previously loved clothing and accessories, presented with passion and flare. By no means a junk or thrift store, these pre-owned pieces are quite lovely and you can easily pick up a bargain piece for your wardrobe. Fioré coffee shop inside a nursery and garden centre. 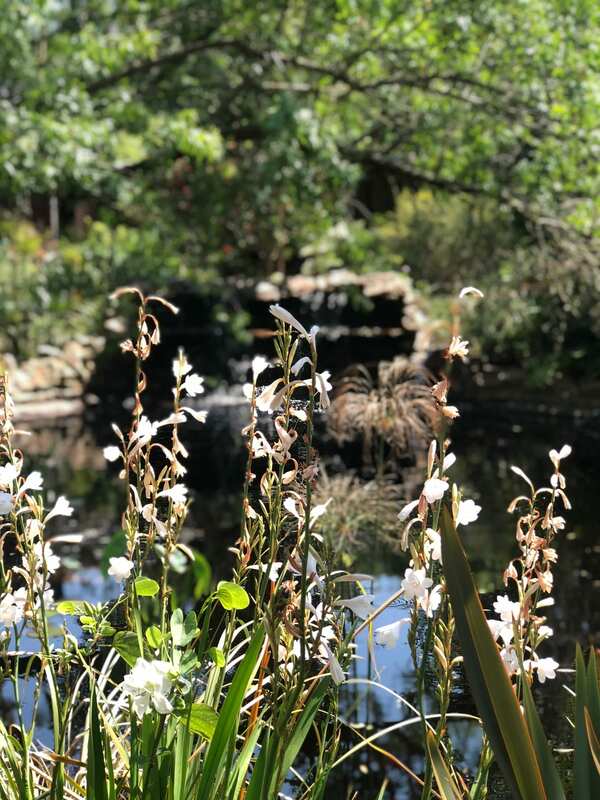 It could have been the weather that weekend, but this cool and soothing oasis with water features and lots of greenery was particularly appealing. Stop in for a coffee, stay for a light lunch, or even dinner on balmy weekend evenings.